The first of its kind. ADB-AIM Hackathon invited the brightest minds from across the world for a collaborative co-creation of innovative solutions to real development challenges. Over 500 participants submitted their proposals for one of three real development challenges. 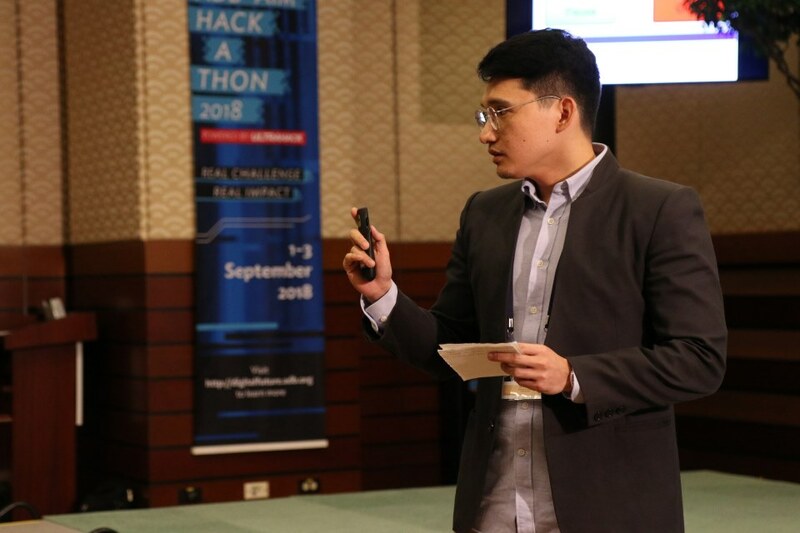 The top 5 teams for each challenge then headed to Manila for the final stage of the competition, where they coded and pitched their solution to a panel of judges. In many developing countries, sharing of patient data from one facility to another facility is often not possible. For example, if a patient visits a rural health center, they would not be able to transfer their records to a different hospital. Design and implement solutions for personal health data sharing and patient journey in a low resource setting. People without formal identity (ID) are excluded from accessing basic financial services such as making payments, saving, and getting credit and insurance. Many who lack ID also live in areas without affordable and reliable internet access and electricity. Develop an inclusive and sustainable ID solution that will empower the poor. In large banks including the ADB, Know Your Customer (KYC) procedures are essential in evaluating risks and gaining all relevant information associated with a potential client. KYC processes can, for example, improve the bank’s relations and understanding of the client, as well as unearth links to corrupt, criminal, or terrorist activities. Use AI to create a proof of concept to facilitate KYC procedures.